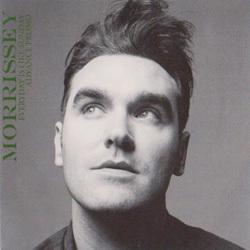 This was released as a single from the 2010 remastered and expanded edition of the "Bona Drag" album. It features different b-sides to the single's original 1988 edition. 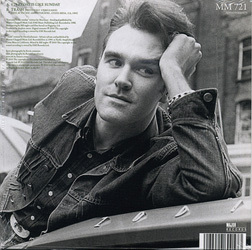 The digital download bundle included both versions of "Everyday Is Like Sunday" as well as "November The Second". 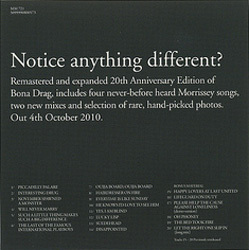 A flyer announcing the release of the 2010 remastered edition of "Bona Drag" was slipped inside each format (view left). Front photo by Kevin Cummins. Back photo by Renaud Monfourny. both 7"s: CAN YOU SEE THE BLACK CLOUD? 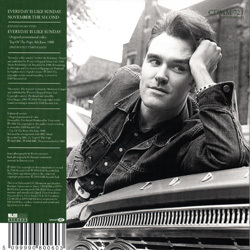 UK: The more general one-track promo cd (Major Minor CDMMDJ721) was slipped inside a card case with regular artwork on the front (plus the words 'advance promo'), and a plugger information sticker over the back artwork detailing the stock single's contents and announcing the release of the 2010 remastered edition of "Bona Drag". 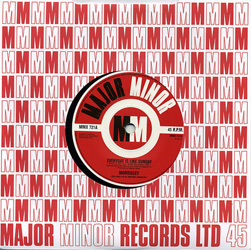 An earlier 'advance promo' had a simple black and white text sleeve with label logo in top left corner and promo sticker on the plastic sleeve (no catalogue number).